The Caribbean offers no shortage of beauty and excitement, with each island featuring its own distinct characteristics and charm. 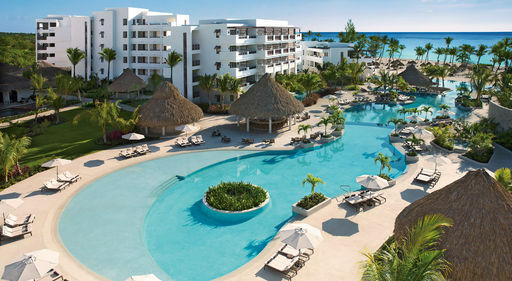 Sprawl out onto the stunning beaches of Punta Cana. Take shade under a lush Divi Divi tree in Aruba. Enjoy a game of golf in Puerto Plata. Taste the mouth-watering flavors of Grand Cayman. Explore up to 200 dive sites in Antigua. Visit the UNESCO World Heritage Site of Willemstad in Curaçao. 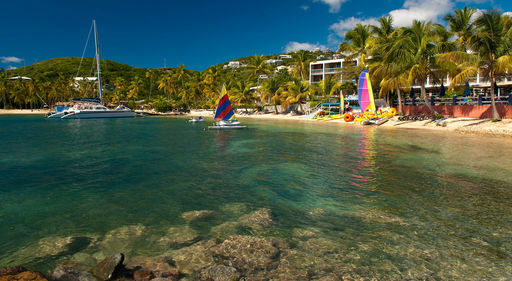 Attend a thrilling carnival or food festival in St. Lucia. Enjoy the shops and historical sites of Nassau. Lounge on pink and white sand beaches in Barbados. Savor French and Dutch delicacies in St. Martin. Dive and snorkel in Turks and Caicos. Leave your passport behind and explore Puerto Rico and St. Thomas. Walk along white and black sand beaches in St. Kitts. The Caribbean truly has it all! Book your vacation to any of these Caribbean Gems by April 25, 2019! Punta Cana features 40 miles of white-sand beaches, luxurious all-inclusive resorts, and amazing golf courses designed by the legends of the game. For a fun-filled night, visit Coco Bongo Punta Cana and bask in the theatrical flair of Cirque du Soleil and the song and dance of Las Vegas! Explore the Dominican Republic in your very own 4x4 XRT vehicle, followed by a luxury catamaran sail to Playa Blanca beach. Zip line through the treetops and see the beautiful countryside - including the Anamuya Mountains. Swim in cenotes, go horseback riding, take a cruise, and more at Scape Park. Sail along cool ocean waters and pamper yourself at the Ocean Spa. Get up close and personal with friendly squirrel monkeys at Monkey Land. Enjoy an introductory scuba lesson in the pool, non-motorized watersports, and programs for kids! Based on double occupancy, includes gov't taxes & fees. Price is per person from Cincinnati on Frontier Airlines. Travel (FR) May 3-24, 2019. Price will vary for other departure cities. Full of charm and bursting with extraordinary beauty, the island of Aruba is home to a variety of natural wonders, exciting activities, and cultural gems. Walk along pristine white sand beaches as crisp ocean waves crash in the distance, take shade under a lush Divi Divi tree, or spend your day at one of the amazing casinos or lavish spas in the area. Soak up the sun at Eagle Beach, one of the top ten beaches in the world according to TripAdvisor. Deep dive off the leeward coast and see the SS Pedernales and SS Antilla, both of which were wrecked during WWII. Tempt your taste buds with authentic Indonesian and Dutch cuisine. Make your way to the top of Seroe Jamanota and enjoy sensational views of Venezuela. Adults-Only (18+)! Amenities include watersports, a dive center, a marina, and a world class spa! Based on double occupancy, includes gov't taxes & fees. Price is per person from New York's JFK on jetBlue. Travel (WE) Jul 24, 2019. Price will vary for other departure cities. 2019 Exclusive Vacation Flights from Pittsburgh to Puerto Plata on Sale Now! Puerto Plata is on Domincan Republic's north shore and boasts majestic mountain ranges, a two-mile crescent of Amber Coast sands, and the sparkling Atlantic Ocean. Listen as the sound of Caribbean music floats throughout the air and the sun's rays bathe you in warmth, giving you a first-hand glimpse into the true beauty of this magical destination. Golf at Playa Dorada on a challenging 18-hole golf course. Visit nearby Cabarete, a cool, casual coastal village that is known for kiteboarding and windsurfing. Travel to Santiago and bargain hunt through the streets of Calle del Sol. Visit Ocean World Marine Park and spend the day interacting with sea lions. Experience Damajagua Falls, complete with twenty-seven cascading waterfalls. Based on double occupancy, includes gov't taxes & fees. Price is per person from Pittsburgh on Exclusive Nonstop Vacation Flights via Allegiant Air . Travel (SA) May 4-25, 2019. Price will vary for other departure cities. Travel to the Bahamas and experience the 18th-century beauty of Nassau, with its stunning Victorian mansions and historic cathedrals - ideal for history buffs. Not to mention, the water is so vibrant, it can be seen from space! 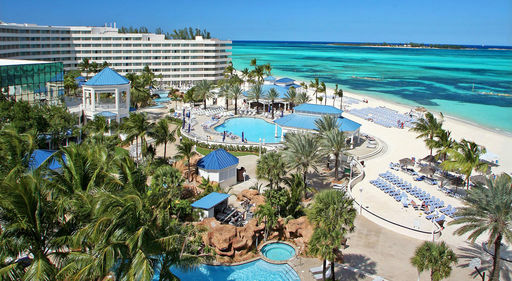 Everything really is better in the Bahamas! Take in a stunning sunset from a 14th century French Monastery. Daytime activities include shopping and water activities. Visit Victorian mansions, cathedrals, weather-torn fortresses, and the Queen's Staircase. A shopper's paradise! Here, you'll find local and international crafts, fine jewelry, and perfumes. Adults-Only (18+)! Includes $700 in resort credits per room (restrictions apply)! Based on double occupancy, includes gov't taxes & fees. Price is per person from Boston on jetBlue. Travel (WE) Jun 12, 2019. Price will vary for other departure cities. All of the finer things in life can be found on the elegant island of St. Martin, which shares the cultures of two countries. To the south is the Dutch side, Sint Maarten, with its cosmopolitan capital of Philipsburg, duty-free shops, glitzy casinos and nightspots. To the north is the French Side, St. Martin, with its chic boutiques, French cafés and deluxe resorts. Learn more about the environment during this year's Earth Day Festival on April 21st. Bahamian Culture Fest In The Bay on April 28th includes food, games, and activities for kids. Features watersports, a jogging trail, pool and beach games, and supervised activities for kids! Based on double occupancy, includes gov't taxes & fees. Price is per person from Philadelphia on jetBlue. Travel (WE) May 29, 2019. Price will vary for other departure cities. Slip away to Curaçao, a Caribbean paradise that thrills and inspires guests of all ages. From delicious local eats and exciting outdoor excursions to a wealth of cultural hotspots throughout the area, this is one destination that appeals to any vacationer. Hiking, biking, and ATV tours are ideal for outdoor adventure seekers. Get out there and feel the adrenaline! Spend the day visiting the capital of Wllemstad, a UNESCO World Heritage Site. The Curaçao North Shore Jazz Festival will have you enjoying amazing local and world-renown musicians. Take a stroll through the streets of Punda, full of shops, cafes, and amazing artwork! Based on double occupancy, includes gov't taxes & fees. Price is per person from New York's JFK on Copa Airlines. Travel (TH) Jun 6, 2019. Price will vary for other departure cities. 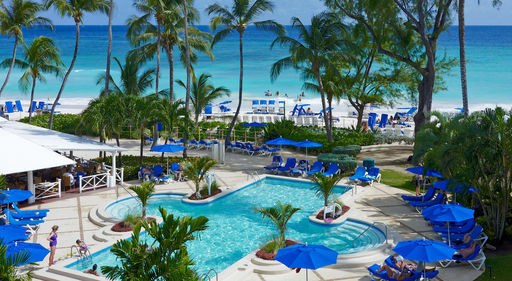 Enjoy the Pete Dye designed golf course, a luxurious spa, resort pools with Caribbean views, and more! Adults-Only (18+)! Sip, Savor & See! Nonstop transfers included - an Apple Leisure Group Exclusive! Includes $200 in resort coupons per room! Based on double occupancy, includes gov't taxes & fees. Price is per person from Chicago O'Hare on Frontier Airlines. Travel (SU-TU) May 7, 11-12, 2019. Price will vary for other departure cities. Includes free WiFi! Try your luck at the 24-hour casino or enjoy live entertainment at the lobby bar! Based on double occupancy, includes gov't taxes & fees. Price is per person from Atlanta on 1-stop via Spirit Airlines. Travel (MO) May 6, 2019. Price will vary for other departure cities. Includes free WiFi in the lobby and pool area! Based on double occupancy, includes gov't taxes & fees. Price is per person from New York's JFK on jetBlue. Travel (SA) Jun 8, 2019. Price will vary for other departure cities. Includes Continental breakfast! Enjoy a great location close to attractions, shops, restaurants, and bars! Based on double occupancy, includes gov't taxes & fees. Price is per person from Boston on American Airlines. Travel (MO) Jun 3, 2019. Price will vary for other departure cities. Features non-motorized watersports, nightly entertainment, and more! Based on double occupancy, includes gov't taxes & fees. Price is per person from New York's JFK on jetBlue. Travel (TH) Jun 6-13, 2019. Price will vary for other departure cities. Swim in one of two pools, lounge on the sun-soaked beach, or pamper yourself at the spa! Based on double occupancy, includes gov't taxes & fees. Price is per person from New York's JFK on jetBlue (with one or more flight segments Operated by Seaborne Airlines). Specific flight details will depend on the itinerary chosen and disclosed upon flight selection. Travel (FR) Jun 7, 2019. Price will vary for other departure cities. Includes free WiFi throughout the resort! Based on double occupancy, includes gov't taxes & fees. Price is per person from Atlanta on jetBlue. Travel (MO) May 6, 2019. Price will vary for other departure cities. Adults-Only(18+)! Includes $200 in resort credits per room! Based on double occupancy, includes gov't taxes & fees. Price is per person from Newark on American Airlines. Travel (SA) May 4-18, 2019. Price will vary for other departure cities. Includes free WiFi throughout the hotel! Enjoy watersports, a freshwater pool, and a spa! Based on double occupancy, includes gov't taxes & fees. Price is per person from Atlanta on Spirit Airlines. Travel (TH) May 9-16, 2019. Price will vary for other departure cities.